Valiance Solutions is a global Analytics and Technology Solutions company based out of Noida India with client base across US and India. It was founded in 2011 by team of experienced consultants and business analysts from IIT’s having combined experience of 24 years in Analytical and technology consulting to BFSI companies in India and Investment Banks globally. The company has clients in retail and BFSI sectors for whom it acts as a strategic partner in conceptualization and implementation of all analytical and technology initiatives. Some of the key clients include Reliance ADA group, Hansa Cequity and Easy Cabs. He currently serves as CEO of Valiance Solutions and works with clients to decide right solution/framework to address business problems in functional areas of customer acquisition, retention, marketing or risk using both technology and advanced analytics. Vikas did his graduation from IIT Delhi and is CFA Level 2 qualified. Prior to co-founding his own firm in 2011, Vikas has worked with Merrill Lynch, Bank of America, Jefferies Investment Bank on several onsite and offshore engagements. Shailendra head analytics function with Valiance and possesses keen business and analytical insight to solve business problems. He has worked on several advanced level analytics initiatives with Life Insurance companies, Mutual funds, Credit Card Companies, NBFC’s in India in Credit Risk, Marketing and Customer Analytics. Shailendra has 5 Years of experience working with Fortune 100 Financial companies across EMEA, US and Indian Subcontinent region. 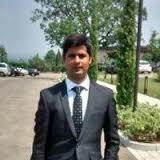 Shailendra did his graduation from DMET/MERI and holds several patents to his name. Ankit Goel serves as CTO of Valiance Solutions and is responsible for execution and delivery of technology initiatives. He takes keen interest in fields cloud computing and big data technologies and has worked on several projects in these areas. Ankit did his graduation from IIT Kharagpur and has 8 years of experience working on technology projects with investment banks globally. We consider data to be a key strategic asset in improving decision making and tapping new opportunities across all functions of an organization. Be the most admired firm delivering breakthrough analytics and technology solutions to it’s clients and helping them unlock new opportunities. Help clients unlock business potential of data using analytics and technology. Help our clients stay ahead in their domain through breakthrough solutions. How we are different from the pack? Valiance brings strong business, analytics & technology expertise under one roof to deliver value to its clients. We have depth of experience in Cloud and Big Data technologies along with Analytics. This gives us an edge where we not only just help clients extract insights from data but also partner with them to unlock potential value from variety of data sources along with implementation of technology. We also engage with clients on pure ROI basis where commercial aspect is tied to gains from modeling initiative. If we are dealing in probability we charge in probability as well. Determine effectiveness of Loyalty programs. Market Mix Modeling to understand factors driving incremental sales. Identifying key drivers of dissatisfaction in Customers. Vikas is co-founder & CEO of Data Analytics firm, Valiance Solutions. He spear heads business development efforts at Valiance. With Valiance he has consulted with Life Insurers, Retailers on various business problems with application of advanced analytics. Prior to Valiance, Vikas has worked as IT consultant with Investment banks like Merrill Lynch, Bank of America, Jefferies. He is an IIT Delhi Graduate and CFA level 2 qualified.